is, by definition, an individual or team competition (with defined rules) held according to fair play standards, which motivates the contestants for achieving the best possible results. It is also undertaken as a means of recreation and improving one’s body abilities. It is expressed through exercises performed according to specified rules. It helps to maintain good health and develops many traits of character, e.g. persistence, strong will, discipline, a feeling of solidarity and friendliness. In competitive sports, the essential goal is to achieve the best possible results at competitions of different stages, organised locally, nationally, internationally, or as a part of the Olympic Games. In the contemporary world, sports are undertaken by a huge number of people and are a form of public entertainment, engaging the emotions of millions of fans. Sport is also an important factor in integrating various social environments at a local, regional and international level. DanceSport is a team sport for pairs or teams of pairs (so-called dance groups). A dancesport pair consists of a man and a woman who, by using a given dancing technique, together create a passage of moves on the dance floor, accompanied by music in different rhythms, tempos and characters, resulting in a dance with high level of artistic and sport value. 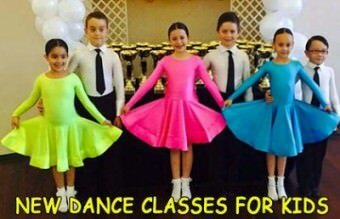 Dance Sport is a discipline recognised as a sport by International Olympic Committee (IOC), International Paralympic Committee (IPC), SPORT ACORD, World Games Association (IWGA) International Masters Games Association (IMGA). • International Latin (International Samba, Cha Cha Cha, Rumba, Pasodoble and Jive). 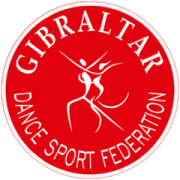 The competition rules in dancesport are stipulated by the World Dance Sport Federation WDSF as well as the International Olympic Committee (IOC), International Paralympic Committee (IPC) and National DanceSport Federations. – 10 dances (Standard + Latin). In the categories: children, juniors, teenagers, the age of the older partner is relevant; in the case of adult and senior categories, the age of the younger partner is relevant.